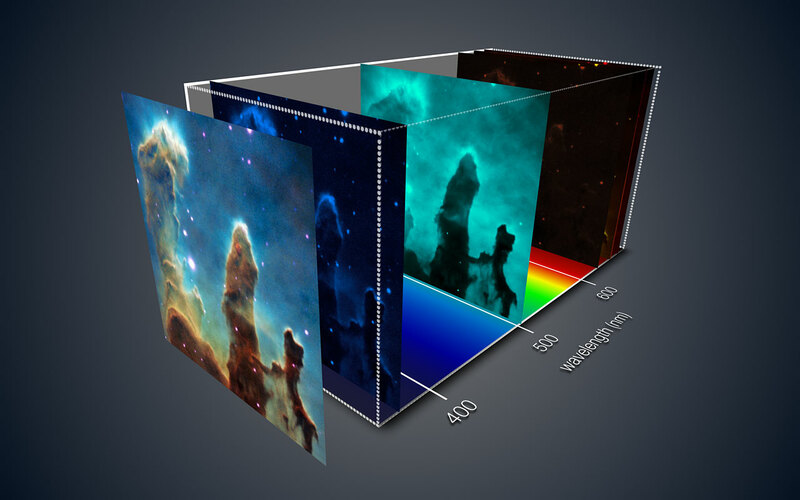 Scientist have managed to create a 3D view of the famous hubble image The Pillars Of Creation. And it looks absolutely stunning! Check it out! 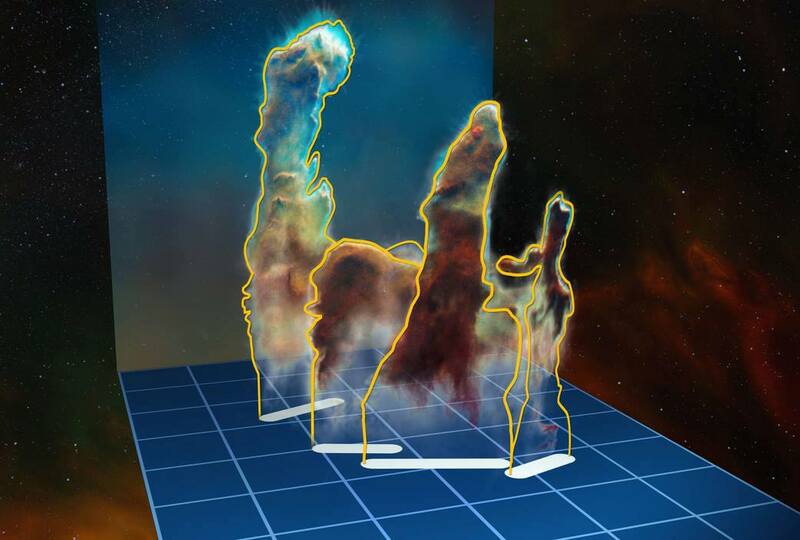 Using the Multi Unit Spectroscopic Explorer (MUSE) instrument on European Southern Observatory’s (ESO) Very Large Telescope (VLT), astronomers have produced the first complete three-dimensional view of the Pillars of Creation in the Eagle Nebula, Messier 16, made famous in an image from NASA/ESA’s Hubble Space Telescope. The new observations demonstrate how the different dusty pillars of this iconic object are distributed in space and reveal many new details — including a previously unseen jet from a young star. Intense radiation and stellar winds from the cluster’s brilliant stars have sculpted the dusty Pillars of Creation over time and should fully evaporate them in about three million years. The left pillar, considered as a complete object from top to bottom, is estimated to be about four light-years in length. It is the longest pillar and about twice the height of the right pillar. Each pixel in the data corresponds to a spectrum that reveals a host of information about the motions and physical conditions of the gas at that point. The slices of the data corresponding to some of the different chemical elements present are highlighted.